We are Europe's largest music retailer for studio, PA and lighting equipment. 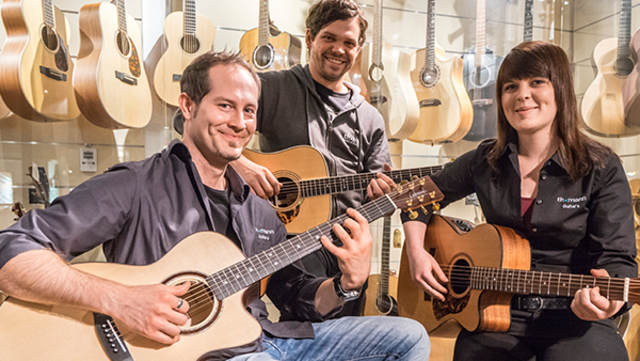 Musikhaus Thomann has over 10.900.000 European customers and currently approx. 1.520 employees working at our operations here in Treppendorf, Germany. During the last 12 months, we have created more than 260 new jobs. Didn't Find a Suitable Job Advert? If you have not found any advertised openings that match your profile, why not send us an unsolicited application? you should indicate which position you are applying for. Kristof B, Oskar A., Alena M.